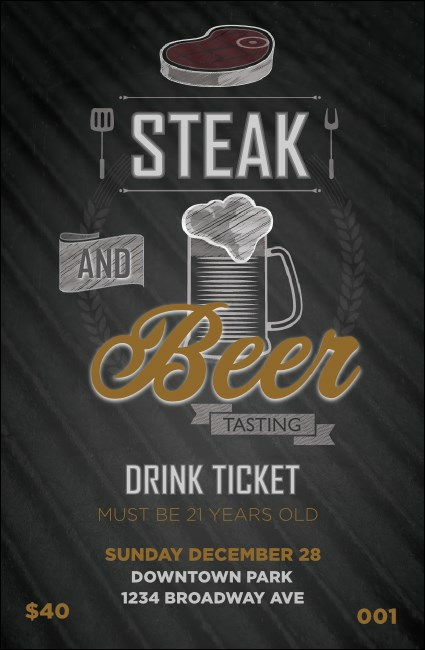 Keep your guests focused on the juicy sirloins and refreshing brews when you hand out the Steak & Beer Drink Ticket at your next gathering. This metallic design template features illustrations of a rare steak and a mug of beer, with white and gold text. Service staff will appreciate the added convenience of this ticket.